How big should your new car down payment be? (MoneyWatch) In calculating new car finances, you may aim for just enough down payment to get your monthly payments to a comfortable level while keeping the rest of your cash. But that isn't the smartest or safest plan, say analysts at the automotive web site Edmunds.com. Make a 20 percent down payment if you can swing it, advises Edmunds. That contrasts with the average 11 percent nationwide for 2011, the latest figures available. Putting up 20 percent will roughly cover the depreciation for the car's first year. And that will keep you from being "upside down" - or owing more on your loan than your car is worth. "Upside down" is not a good place to be. For instance, if your car were stolen or totaled in an accident, the insurance payout likely would not cover the amount you still owe. You would then have few options for getting a new car. "By placing a bigger down payment, a new car buyer can offset the vehicle's initial depreciation and earn equity in the car sooner," says Ronald Montoya, consumer advice editor at Edmunds. 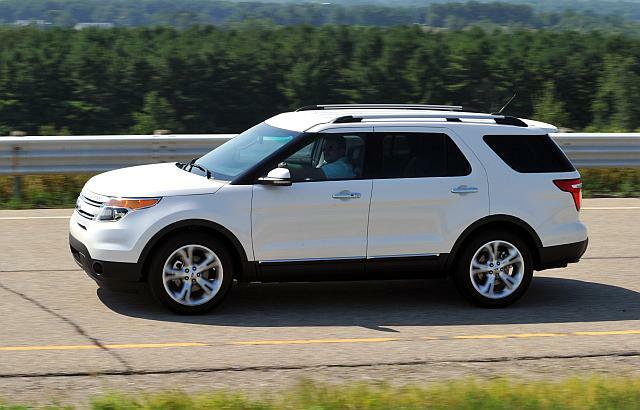 He cited the example of a 2012 Ford Explorer, where the $29,505 list price came close to the average 2011 vehicle price. If you put up about $5,900 or a 20 percent down payment, you would be covered in case of theft or accident. Check your credit rating. Lenders set interest rates based largely on credit scores. To get zero percent or other promotional rates, you must have a top score of 720 or above, says Dorothy Barrick of GreenPath Debt Solutions, a non-profit financial education and counseling service based in Michigan. She suggests checking your score at least four months before you plan to shop for a car, leaving enough time to correct any errors in your report. Get pre-approved financing if you can. If you are already approved for a car loan from a bank or credit union, you can focus on negotiating the best new car price. If the dealer can beat your finance deal with a promotional rate or other offer, you can still go in that direction. Used cars are different. Used cars depreciate, but not as fast as new cars. So if you are buying used, a 10 percent down payment will be adequate to match the likely first-year depreciation on the car you buy. However much down payment you can afford, have a plan before you go to the dealership. Trying to figure it out during a hard sell in the dealer finance office is a prescription for a bad deal.